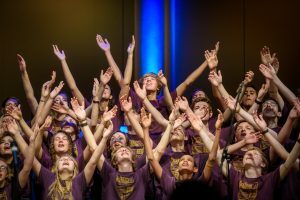 The DBC Student Choir and Middle School Choir exists for the purpose of ministry and discipleship – teaching and training young people to be life-long worshippers of the Most High God. 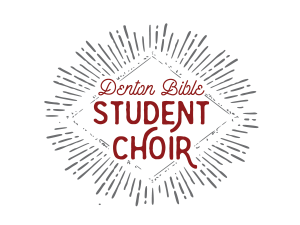 Student choir is made up of students in grades 9th – 12th and meets on Sunday evenings during the school year from 4:00 to 5:15 p.m. in the Fellowship Hall. This choir sings occasionally in the worship services at DBC, and various other events, and goes on a singing mission trip in the summer. Consisting of students in the 6th – 8th grades, the DBC Middle School Choir exists for the purpose of glorifying our saviour, Jesus Christ, as well as ministering to students by teaching principles of worship and musicianship. The Middle School Choir meets on Sunday evenings during the school year from 4:00 – 5:15 p.m. in the Student Ministry Center, room 114. This choir sings occasionally in the worship services at DBC and other events, and takes a weekend trip in the summer.